Plug-In Connectors have screw-type lock. 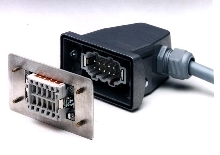 Industrial Ethernet Connectors meet IP67 watertight rating. Amplifier conditions strain gages and load cells. 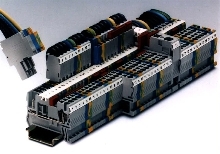 Terminal Block has plug-in contact. ST-COMBI terminal block, designed for ST spring cage terminal block series, has 2.5 sq mm conductor that plugs into 5.2 mm wide plug with IEC rating of 24 A and 500 V. Contacts in terminal block and plug connector are touch proof. ST-COMBI uses standard ST dual bridge channel so both product families can be combined on rail using same jumper. 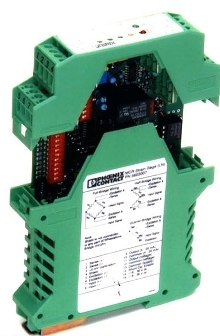 Connectors complement sensor/actuator distribution boxes. M8 and M12 connectors feature gold-plated contacts, mechanical safeguard against vibration, and IP67 protection. They come in straight and angled versions, each with male and female contacts in 3, 4, or 5 positions. 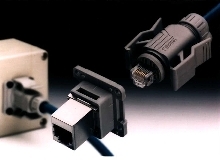 M8 connectors are available in 3 and 4 positions. 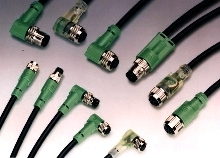 Female connectors are available with or without LEDs. Union nuts made of plastic or stainless steel provide corrosion resistance.